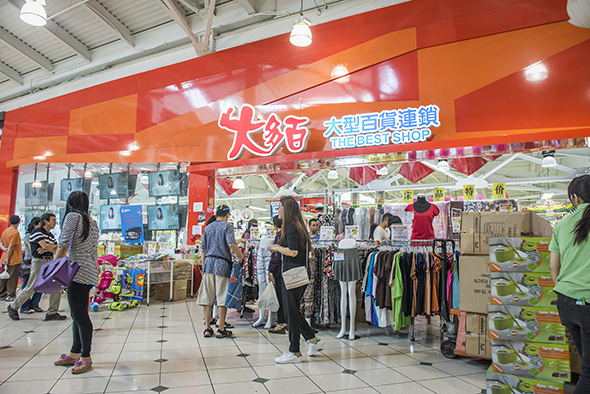 The Best Shop is a massive store at the top of Pacific Mall that's akin to a Chinese Wal-Mart. 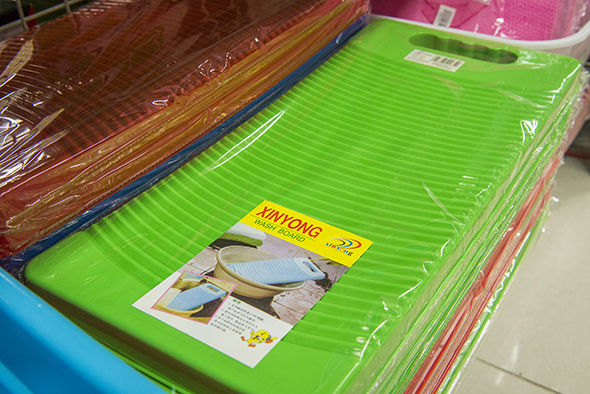 It stocks everything that you would find in an Asian household, ranging from plastic buckets to fancy rice cookers. 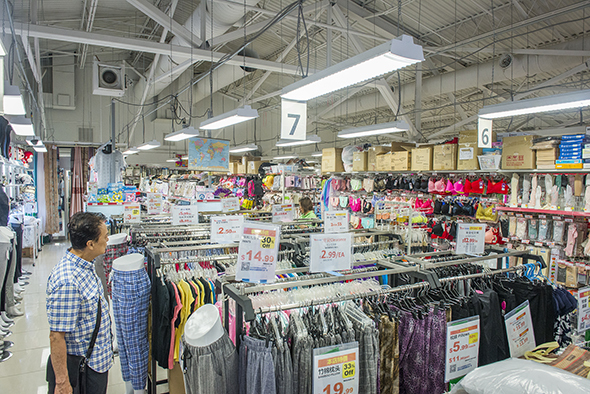 The store is spacious and, as is customary in many large shops in Asia, very brightly lit. While it does get crowded at times, the overall space never feels cramped. But a closer look reveals some uniquely Asian items. 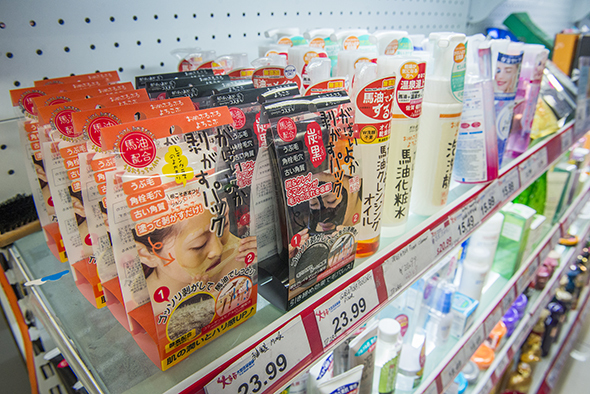 For starters, the cosmetics section is agog with cutesy and gimmicky face masks. 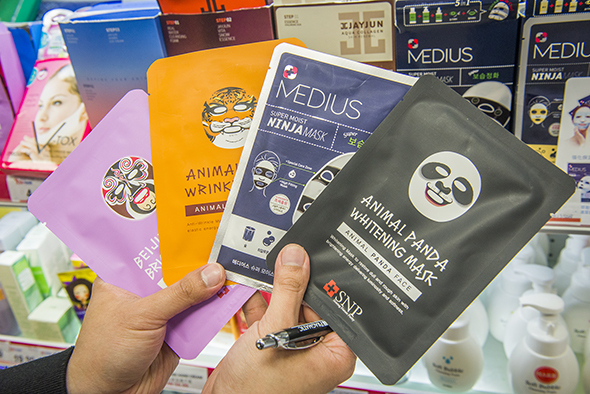 Why use a boring old mask when you can look like a tiger, a Beijing opera singer, or a ninja while hydrating yourself? And while you may be familiar with Biore pore strips, how about a product that takes away grime and blackheads...from your entire face? I grab a few, naturally. 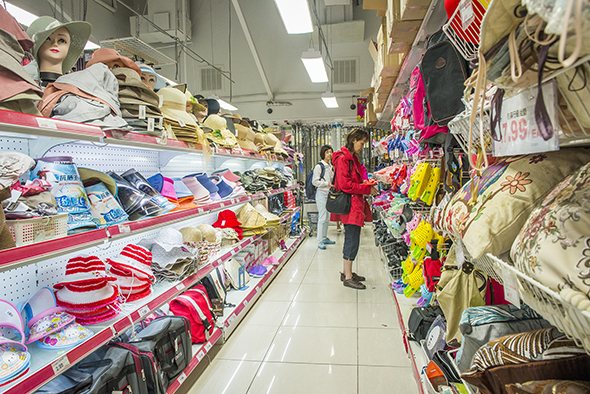 Many traditional Asian households still handwash their clothing, so you'll find an assortment of brightly coloured plastic buckets and washboards here, starting from around $4.99. Now here's something you definitely won't find in your regular Wal-Mart: a fully equipped mahjong table. For just a shade under a thousand dollars, it's quite possibly the grandest thing I see during my visit here. Just the thing to take your Friday gaming nights to the next level. 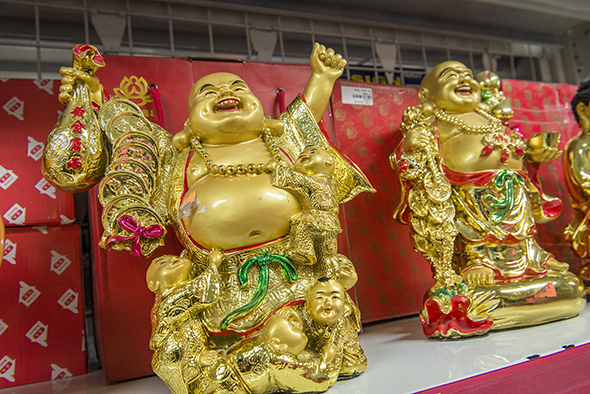 On the subject of Asian paraphernalia, the shop also stocks Feng Shui charms and smiling Buddhas, no doubt for good luck and prosperity. But there are also practical items. There is a multitude of shelves dedicated to hot water appliances here. 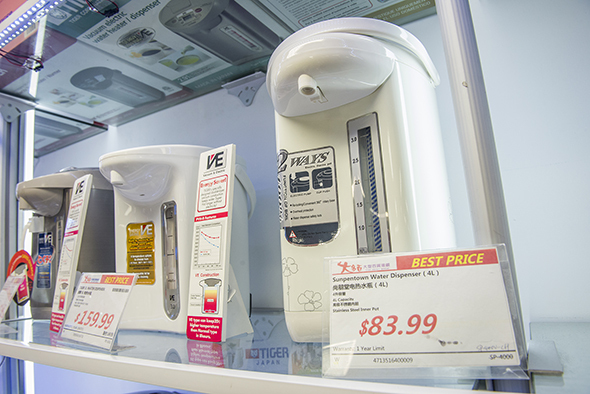 Many Asian households enjoy hot water, even during summertime, so it's quite natural that you see large shelf spaces dedicated to both hot water flasks and fancy dispensers which boil, store, and dispense the water. Some of these are really nice. 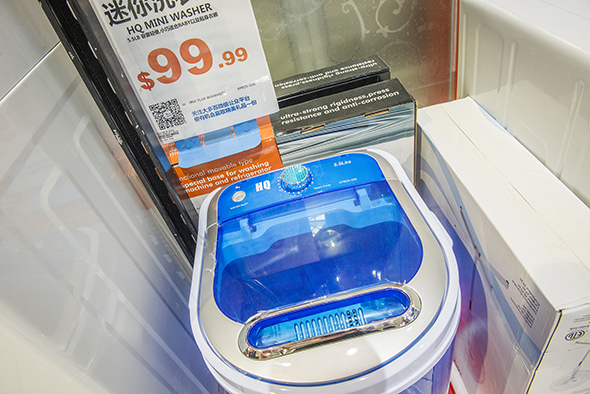 I also see some of the most compact washing machines here, with the smallest one being less than $100 and roughly 4 feet tall. While this particular unit is definitely an extreme case, there are other larger machines which are still smaller than most conventional units you'd normally see in Sears. These smaller washing machines are perfect for smaller condo units (living space is notoriously tiny in many Asian cities). Brands like Haier and Midea, extremely popular in China but practically unheard of here, dot the shelves. What would an Asian household be without rice at dinnertime? Browsing through the rice cookers here, you really do get an appreciation of how important this humble staple is. 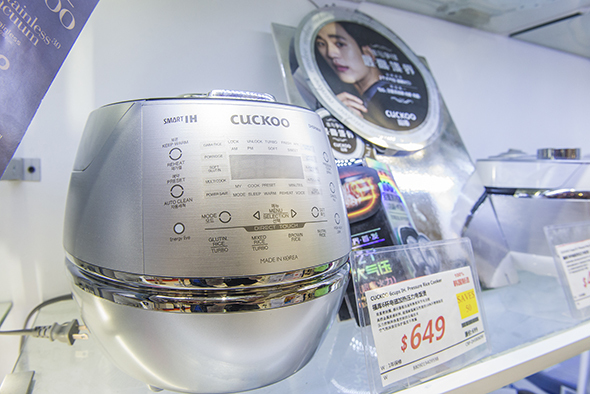 From the basic kind (starting from around $85) to the Rolls-Royce of rice cookers priced at over $700 (it even LOOKS fancy, and comes with its own Korean model endorsement), this shop has it all. It may be hard to objectively confirm that it's the best, but the Best Shop is, at the very least, an excellent and entertaining shop. It's stocked with items both whimsical and surprisingly practical, and that for me makes it worth visiting every time I'm in Pacific Mall.